5 ways to explore Burlington, Vt. In Burlington, even when it seems like nothing’s happening, something’s happening. Rising from the banks of Lake Champlain, Vermont’s biggest city has long been an incubator for creative people bursting with ideas that serve humanity as well as the planet, sustaining an innovative spirit that flows from its field-to-fork food scene into a sophisticated arts district, and unrivaled craft brew arena. 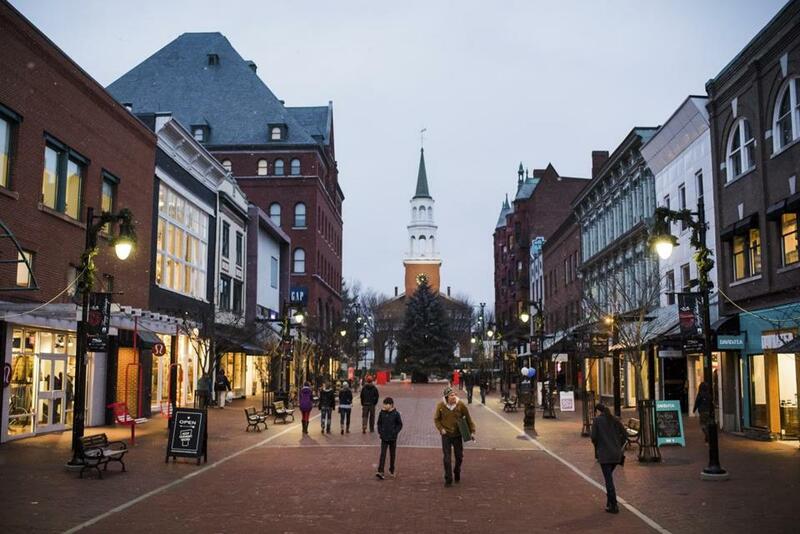 The progressive town that called Bernie mayor for four terms has blossomed into a hip enclave fusing Bohemian chic and environmental savvy with old-school Vermont charm. Here are five ways to delve into all the Queen City has to offer. Holding the number one spot five years running on Strolling of the Heifers’ Locavore Index, the Green Mountain State has long pioneered the farm-to-table movement. Serving a cornucopia of locally grown goodness, Burlington chefs tap a loyal contingent of Vermont producers to flavor their menus. Start the day with cheesy scrambled eggs, flaky biscuits, and creative baked goodies at Nunyans, a sunny café in the Old North End. A Saturday stroll through City Hall Park lets you browse the Burlington Farmers Market, one of the oldest in the state, with 90 vendors peddling everything from handmade soaps to honey, wine, artwork, and gorgeous produce. At lunchtime, grab signature sandwiches at the City Market Coop, where Burlington’s hippie legacy still thrives, or tuck into luscious crepes packed with a bounty of Vermont-sourced ingredients at the Skinny Pancake. For dinner, delicious brews and fare are served in the midst of a welcoming, community vibe at locavore mainstays like American Flatbread and Farmhouse Tap and Grill. With Lake Champlain and the surrounding mountains as a backdrop, opportunities to explore nature abound. For a primer in the ecological and historical significance of the lake, canvass permanent exhibitions and rotating installments at the ECHO Center, including one about Champ, the lake’s legendary sea monster. Delve into Vermont’s agricultural history at Shelburne Farms, a working farm and dairy that offers tours, a children’s farmyard, and 10-miles of trails. On Thursday evenings in July and August celebrate sustainability at the Intervale Center’s Summervale, a weekly outdoor fête of farms and farmers with live music and local brews. 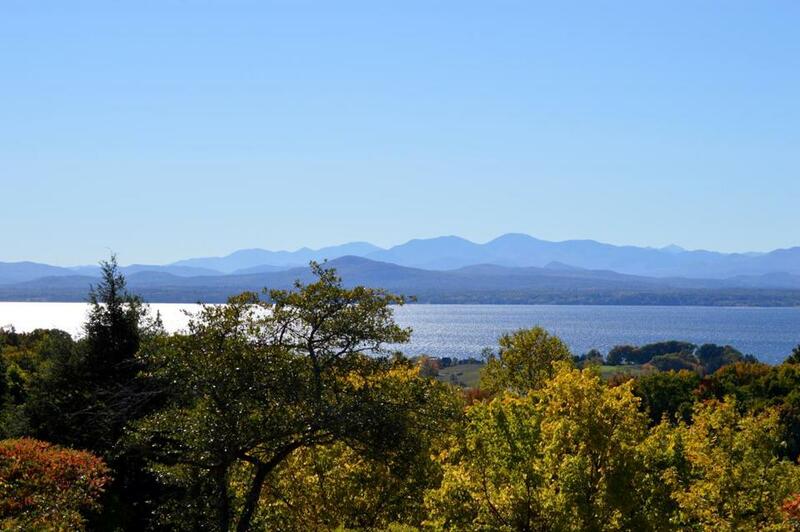 When the mountains beckon, a short but steep hike to the summit of nearby Mount Philo — a favorite of families — offers spectacular views of the Champlain Valley. Launch aquatic adventures from the Community Sailing Center, which rents all variety of watercraft and offers private and family lessons for newbies. If paddling isn’t your style, the Spirit of Ethan Allen cruises the lake several times each day complete with historical narration. But the real star of Burlington is the Island Line Rail Trail, a fourteen-mile recreational path recently rerouted to hug Lake Champlain’s shoreline. Rent bikes at Local Motion and ride past parks, beaches, and woodlands. The 3.5-mile causeway that arcs through the lake feels like pedaling on water. Venturing beyond maple syrup and country inns leads to a profusion of art and culture, and you’ll have no trouble tapping the creative energy of this dynamic little city at galleries, museums, or even cafés where you drink your morning joe. Art Map Burlington provides a monthly index of venues where artists display work throughout town. On Church Street, pop into Burlington City Arts, featuring 3 floors of contemporary artwork in permanent gallery spaces as well as the Vermont Metro Gallery, which promotes local artists. The city’s South End neighborhood remains the pulse of Burlington’s art scene fusing artwork, concerts and theater, and community conversation at spots like FlynnDog, ArtsRiot, and SEABA, which produces the annual South End ArtHop in September. At UVM, the Fleming Museum’s impressive collection ranges from pre-Columbian to contemporary alongside a series of changing exhibits. On the music front, relive your college days at Nectar’s — birthplace of Phish — or head to the Higher Ground Ballroom for jazz, funk, a Talking Heads tribute band, or even a night with Bob Dylan himself. Vermont is home to more craft breweries per capita than any other state in the nation, and several have set up shop in Burlington. Start your tour in the South End at Switchback — my personal après ski favorite — on Flynn Avenue. After that, travel north along Pine Street to imbibe at Zero Gravity’s fabulous beer garden, partake of Monk of Underhill Belgian Tripel at Queen City Brewery, and sample local apples gone boozy at Citizen Cider. For brews with a view, you can’t beat Foam Brewers perched beside Lake Champlain, where you can sample fresh beers with fun names like Halo Bender and Pressure Drop. At the Hotel Vermont, hit up the in-house beer concierge, Matt Canning, for his expertise on what to drink and where. And for some serious brew-haha, the annual Vermont Brewfest on the waterfront in July is not to be missed. Independent businesses far outnumber chain stores in the Queen City and back on Pine Street, funky finds and eclectic goods are the name of the game. Sample lush botanicals turned aromatic art at Lunaroma Apothecary or watch blowers create unique pieces at AO Glass. The Lamp Shop houses vintage, repurposed, and antique lighting in an old industrial building painted pink. Don’t confuse it with the Light Room Lamp Shop, an innovative craft cocktail lounge and eatery in the Old North End where most of the décor is for sale. A visit to Burlington would be incomplete without a trip to the Church Street Marketplace. Browse new and used reads at the delightful Crow Bookshop, peruse Vermont-made crafts and creations at Frog Hollow, or indulge in a box of Lake Champlain chocolates — you can watch the confections being made at the Pine Street factory as well. If you stay . . . Warm, ecofriendly sophistication welcomes you at the Hotel Vermont, where Lake Champlain shells and stones adorn the lobby’s poured cement floors and locally made furniture invites you to relax with a craft cocktail from the Juniper bar. Airy rooms, some with lake views, treat you to cozy, Vermont flannel robes and local Lunaroma bath products. Settle into comfortable rooms with an upscale vibe at the bike-friendly Hilton Burlington — the gorgeous views from the lakefront rooms are well-worth the upgrade. An adventure-packed day is best re-lived over drinks and snacks by the firepit on the patio at the hotel’s Mounted Cat restaurant.